Can I use this immersion blender for thick batters, sauces, and soups? 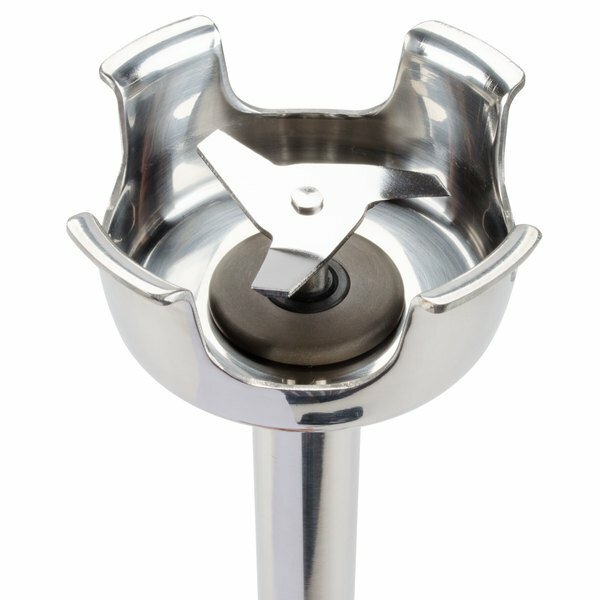 This light duty unit is designed for thinner mixtures and tasks such as pureeing, whipping, and emulsifying. 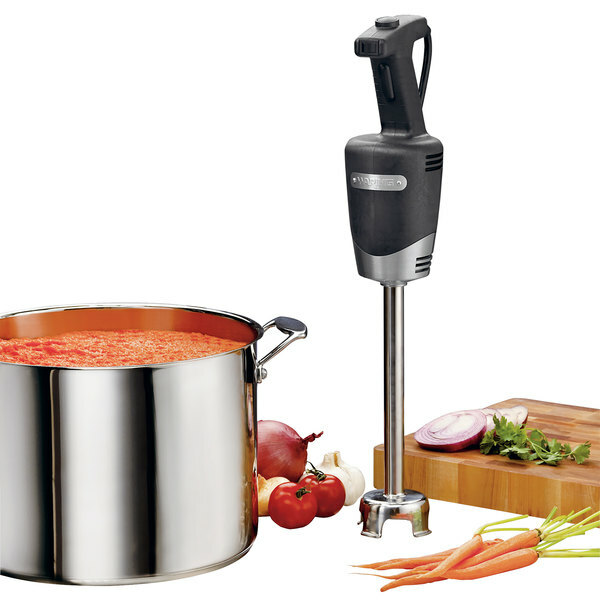 For mixing batters, sauces, and soups, a heavy duty immersion blender would be a better fit! 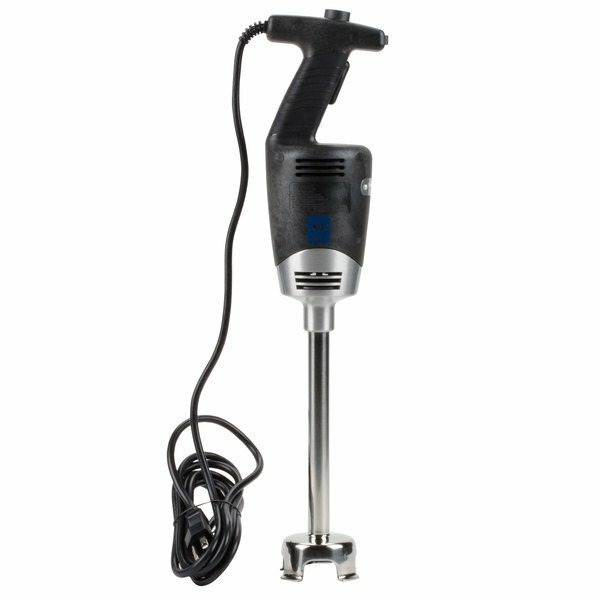 Perfect for anything from preparing light mixtures to pureeing and whipping sauces, this Waring WSB40 Quik Stik light-duty immersion blender features a rubberized comfort grip and a compact construction that allows for safe and controlled operation! The Waring immersion blender gets its reliable performance from a 1/2 hp, 350W motor that allows up to an 18,000 RPM processing speed. The Waring WSB40 has a completely sealed 10" stainless steel shaft and a 1 3/4" blade making it easy to clean, and also lightweight when in use. It requires a 120V electrical connection. Best product, I've ever purchase on this website. This blender woks like a pro , your waffle mix or your pancake mix will be ready instantly . Compared to the old Kitchenaid KHB1231, this is much bigger and heavier but seems to have lots more power for bigger jobs. Attached image is a size comparison between WSB40, Kitchenaid KHB1231CU and a 2L pitcher. Waring is a trustworthy brand. They make great quality items. We use this blender to make our homemade dressings. The blades are easy to clean. We were looking for a blender, but they can be extremely pricey. This 2 speed light duty immersion blender is inexpensive, and does a great job with sauces. Works well and fast. Use for most of the mixing in our kitchen and is very reliable. Well built product, and no complaints. Good stuff! Great Blender. 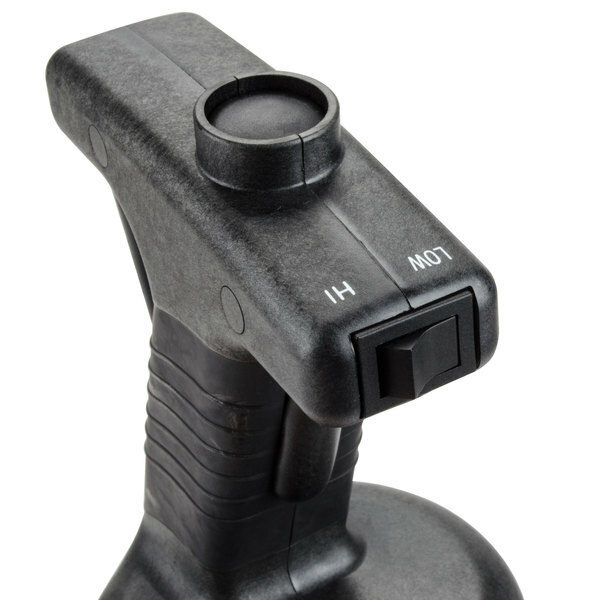 The only complaint I would have is that you have to hold the button down the entire time you are using it , as it doesn't stay on like some other units I have used. This is fantastic deal for an emergent blender. Very high quality, works great. I would normally pay 300 for one of these at local store . 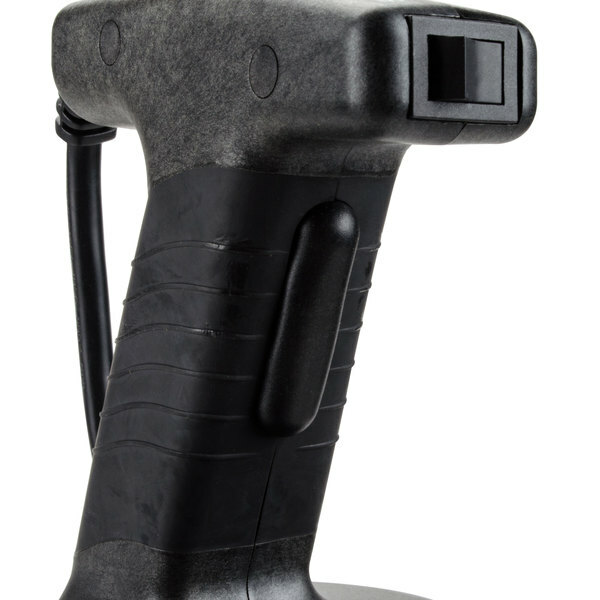 Bulky yet very powerful tool. It has more than enough torque to power through our sauce and dressing making. we are very satisfied with this purchase. We use this ALL the time. For pureeing soups, salad dressings, marinades, smoothies, gravy... you name it. It is easy to clean and easy to use. Very strong motor that makes emulsifying difficult mixtures so quick and easy! This immersion blender works fine but the heavy duty is much better. 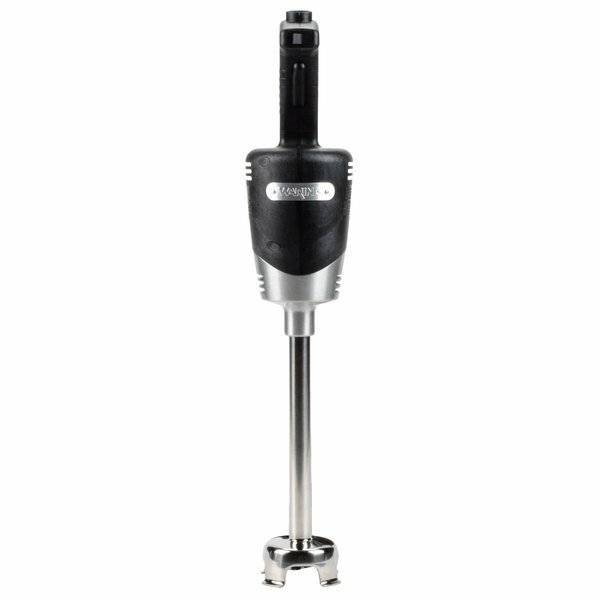 We recommend ordering the heavy duty blender for your restaurant needs! We use it for sauces, soups, and gelato. Great little immersion blender perfect for mixing mayonnaise sauces and soups. Light weight for easily moving around the kitchen. Easily cleanable by running under the dish hose while keeping the motor dry. This is a very sturdy and heavy duty product. It's a long stick immersion blender which makes it great for using in a deep pot. We have been super happy using this immersion blender. It is powerful, and takes care of all the soups and salad dressings in our cafe. Easy to clean, would buy again. The Waring Immersion blender works very well. We use it to emuslify our vinaigrettes and blend our soups and it does a very good job. It says its light duty but it performs like heavy duty. Amazing price, lowest I could find online. I love this blender. This blender is too powerful. I got this one because it was the same price as the smaller one i was looking at. But this thing is great. This heavy duty immersion blender is great for making big batches of sauces, dressings, soup, mixes and so much more. 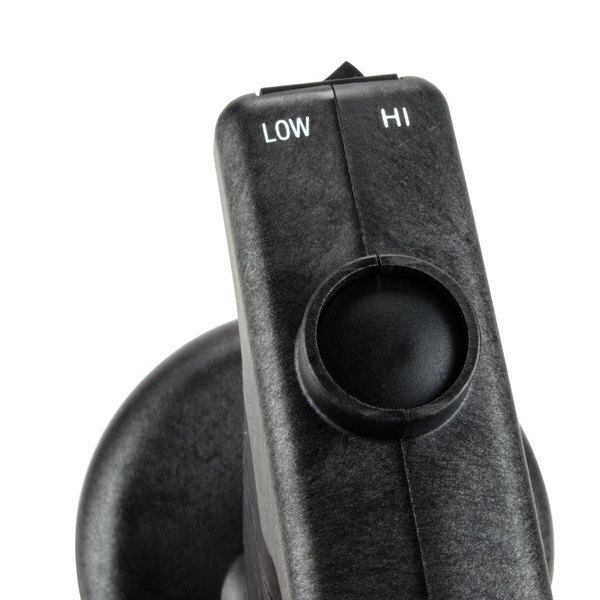 The powerful motor and long cord make it easy to use.